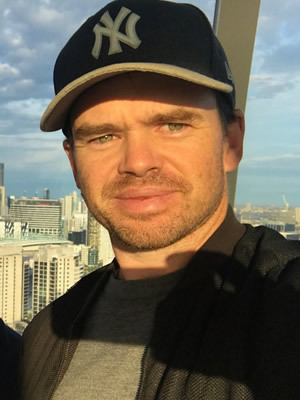 With over 20 years’ in media, Ben Fogarty is a versatile, experienced and highly professional DOP now based in Sydney. Ben works across a range of genres and productions – TVCs, Branded Content and Corporate Films, Reality TV, Long Format and Documentaries. Prior to becoming a freelance DOP, Ben was a full -time cameraman for 60 Minutes Australia. He completed a diploma in video production at RMIT University and started his career as a news and current affairs cameraman at the Ten Network and GTV9. He travelled extensively while working at 60 Minutes and also spend time in the Middle East as a freelance cameraman filming high-end corporate videos in Dubai and Doha before relocating to Sydney eight years ago. Ben owns a large selection of camera gear … Sony f5, canon C200, C500 (with odyssey 7q+ 4K) canon CN-E prime lens set, 17-120mm canon zoom and a full set of Red pro PL mount primes, movi m10, m5 and a phantom 4 pro drone. Ben is an experienced Movi operator and a fully licensed and insured drone pilot.